Unlike the Parlay System, which prompts you to determine your profit target in advance, the Paroli System will determine your maximum bet in advance. This is to prevent you from playing for too long and suffering huge losses. The Paroli System is a somewhat more risky strategy than others, but also increases the chance of greater profits. If you choose to play according to the Paroli System, you will increase your bet every time you win. If you lose you will slowly lower your bet until you reach the original starting amount. The starting amount will then continue to hold you until you win. This strategy can be easily applied to both Live Blackjack and Live Roulette. It is also recommended that you determine the maximum length of any winnings in advance, and then re-use the initial amount. You can play at Mr Green and try Paroli straight away. 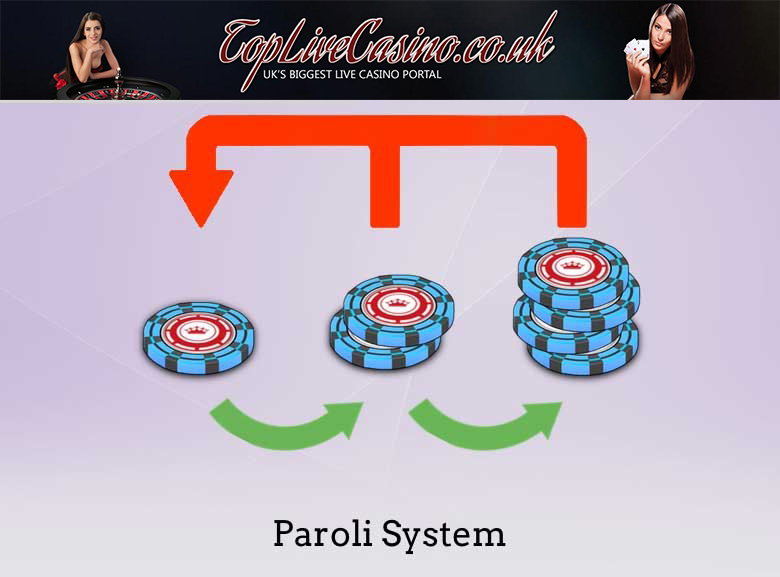 Compared with the Martingale system, the Paroli System is very different. Because of this strategy, you do not run such a big risk that after a few turns you have lost your entire budget. If you lose, that’s the end of each play as high as you start. Incidentally, if you close your win series with a loss, you have already lost your starting line and you are already making a lot of loss. Important to this system is to realize that only red / black, even / odd, and 1-18 / 19-36 opportunities are used. Make your decision to take part in a Live Roulette table with a total of £100, – and a maximum win of 4. At the first bet you will bet with the minimum bet of £5, -. If you win then you will have to double your bet according to the Paroli System. So you bet £10, – in the next round. If you have won four times (with a bet of £40, -) you will have achieved your maximum profit. Then you start again with the starting amount of £10, -.